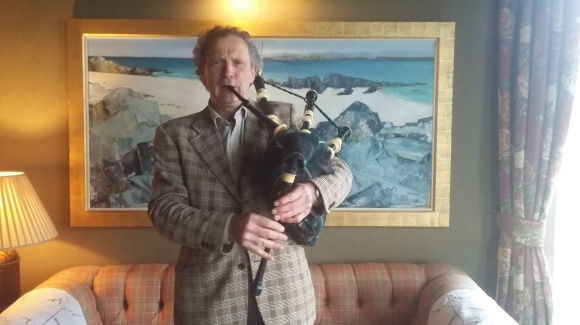 Martin Treacher (pianist, accordionist, piper) is a versatile musical entertainer who will join Frances Macdonald to host Crinan Hotel's exciting new Art and Music Weekends. Since 2005 Martin has been full-time resident musical entertainer for the Carnegie Club at Skibo Castle in the Scottish Highlands, acknowledged as one of the world's finest clubs/hotels. During the Art and Music Weekends, Martin will offer a classical recital, a Noel Coward Cabaret and selections of well-known and rare Scottish songs. He will pipe guests into dinner, provide some accordion in the bar, and at the end of the evening lead guests in a memorable sing-song around the piano. And for any guests who have always wanted to play the piano, Martin can reveal some short cuts and have them playing a melody in no time at all! 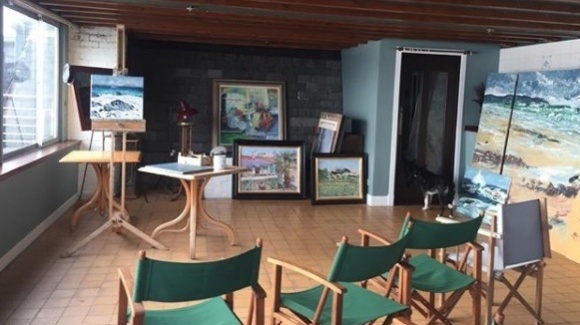 Frances will give a painting demonstration and will be ready to answer questions about her work and offer tips to budding or aspiring artists. These weekends are sure to be popular so book soon to make sure you can join us.